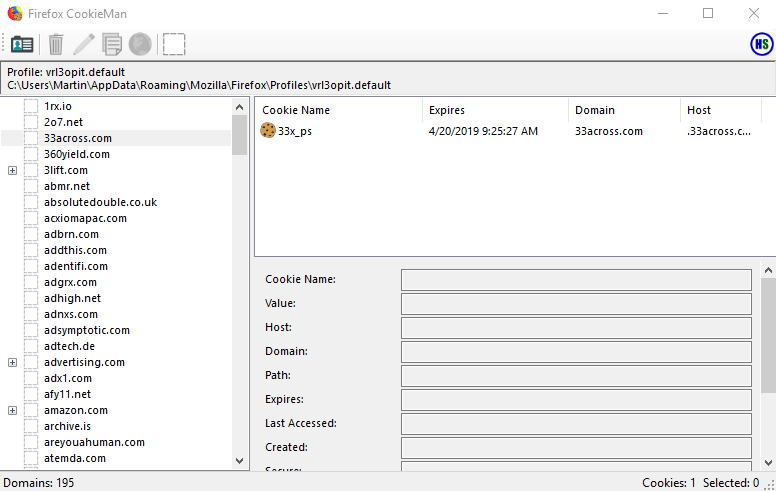 Firefox CookieMan is a third-party program for Microsoft's Windows operating system to manage cookies. 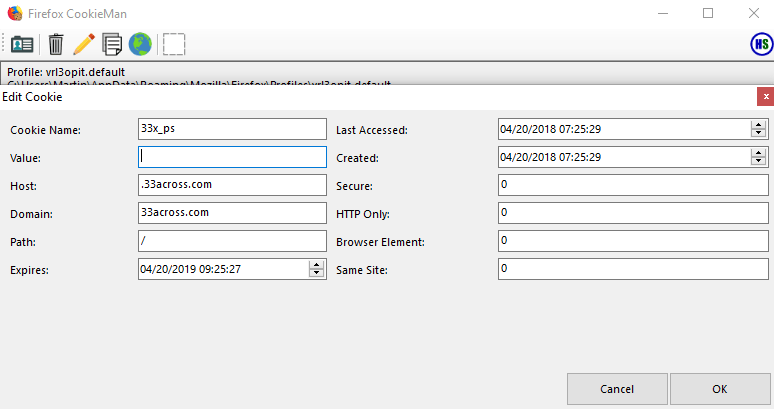 Firefox includes a good set of tools to control and manage cookies and site data. Users of the browser may load about:preferences#privacy in the browser and activate "manage data" on the page to get the list of set cookies. Firefox CookieMan lacks search functionality which Firefox's native cookies manager supports. Concerning Firefox’s cookies’ management I use the ‘Cookie Quick Manager’ FF extension. Concerning Firefox’s cookies’ authorizations I use the ‘Forget me Not’ FF extension. I’m not really fond of external applications peeking on Firefox data neither am I of .Net Framework applications even if I do run a few. Firefox Quantum (57+) indeed offers in its about:preferences#privacy the Manage Data section but it no longer provides cookies’ content as previous versions did. Hence, once again, the need of a dedicated extension or external application such as this ‘Firefox CookieMan’. About “Firefox extensions that improve cookie management” : most if not all of them are unfortunately not compatible with Firefox Quantum. For me Firefox has become the Windows 10 of browsers. Me too! Barring the buggy “feature” release (They do finally fix them) Windows 10 is the best OS to ever come out. Super stable, and very feature packed and useful. manage? for me is “delete after closing the browser” all the way!